MG Wheel Centre Style Stickers. Silver & Black. Set of 4. 40mm. A set of 4, MG wheel centre style stickers. Printed in Black & Silver. Supplied in standard as a 40mm set (each sticker measures approximately 40mm in diameter). Re-sizing of wheel centres is available for a small extra cost, if you require a set other than the 40mm then please contact us with which size you require, and we will be able to send you an invoice. 1 set of 4 stickers supplied. 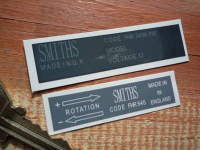 Stickers are cut to circular shape, the white square that you see is backing paper. 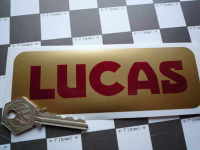 MG Octagon Logo Style Laser Cut Self Adhesive Car Badge. 1". BMW Gunsight Style Roundel with Black Coachline Stickers. 45mm, 50mm, 60mm, 70mm or 80mm Pair. 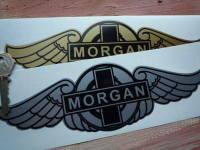 Morgan Winged Logo Sticker. 6" or 9". BMW Gunsight Roundel with Black Coachline & Blue Detail Stickers. Various Sizes. Pair. Negative Earth - Stickers. 2" Pair.